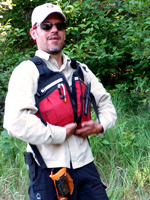 In our folder of “canoe trips to do” is a very thin file on the Little Missinaibi River. The plan is to access it from Healey Bay (Windermere Lake) after the 30 km. Budd car ride from Chapleau. A road shuttle also looks possible as the Esher Road from Chapleau ends right at Healey Bay. We’d paddle down the Little Miss into Little Lake Missinaibi and then down to the big lake and over to Missanabie where we would catch the Budd car back to Chapleau. It looks like a nice one-week trip. Seeing the half-dozen pictograph sites on Little Missinaibi Lake and revisiting the sites near Whitefish Falls and at Fairy Point and Reva Point on Lake Missinaibi make the trip even more enticing. At first glance it looks like the headwaters of the river are just south of Sunset Lke, but according to the Gov't of Ontario topo website (http://www.giscoeapp.lrc.gov.on.ca/matm ... cale=en-US) the river goes all the way back to Windermere Lake. It is about eight kilometers from the put-in at Healey Bay to Sunset Lake. 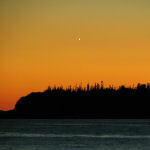 Then it is about thirty kilometers to Lookout Bay on Little Lake Missinaibi. I have not found any info on the web on this 38-km stretch. 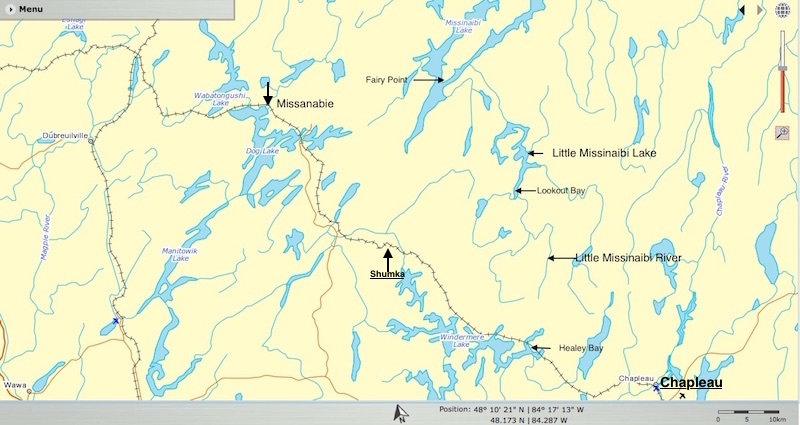 While there are trip reports on getting to Little Lake Missinaibi from Shumka, I have not seen any reports on the upper Little Missinaibi River. 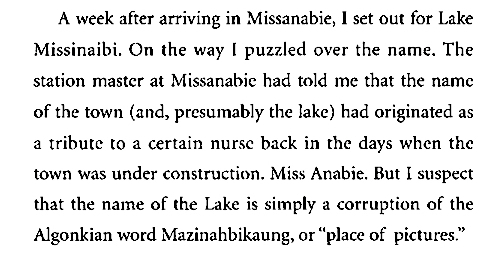 Hap Wilson’s Missinaibi book does have his usual nicely detailed maps of Little Lake Missinaibi and of the stretch of the Little Missinaibi River from the north end of the lake down to Lake Missinaibi itself. He also describes the Shumka route. 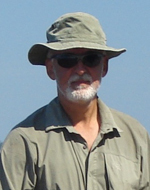 His book does not have anything on the river before it reaches the south end of Little Lake Missinaibi. Chrismar’s Missinaibi 1 map only goes as far south as Lookout Bay. It didn’t even make it into Kevin Callan’s Lost Rivers of Ontario collection! It may be because it was never used in the first place! Any information you might have about current conditions - rapids, logjams, portages, etc. - would be appreciated. I’d like to fatten that Little Missinaibi River file out a bit before we move it to the top of the pile! Last edited by true_north on December 16th, 2016, 7:20 pm, edited 3 times in total. I would contact RHaslam to see if he has any info. Here is a link to a post so you can pm him. A concern I see this year on any trip may be water levels with the lack of over all snow. I will be a short runoff season if this keeps up. 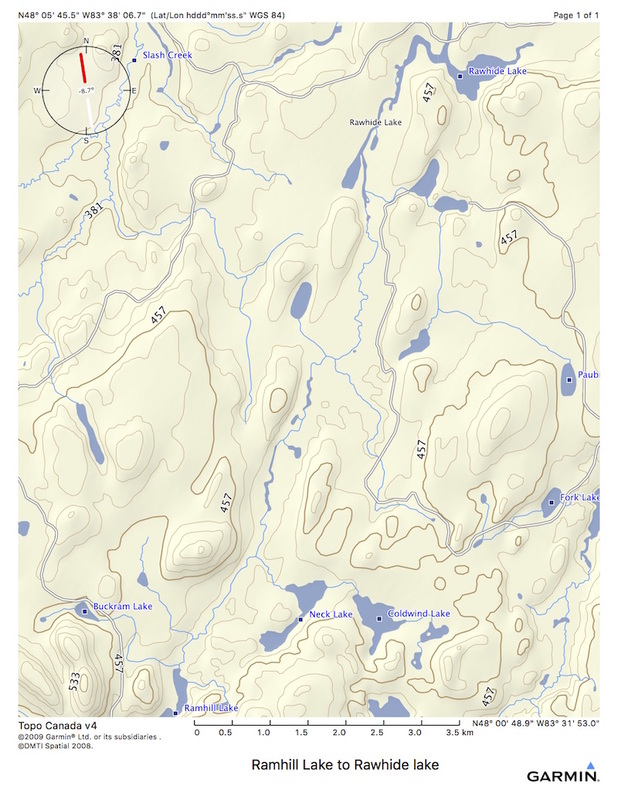 The sat pictures on "make a topographic map" are fairly up to date and it may give you a better idea of what you are getting into if you can't get any info. Well... anything is possible, but your proposed route looks challenging to me. From my initial look at the route on various mapping sources, the stretch of river from Little Island Lake to Rawhide Lake looks flat and slow moving. There is probably great wildlife viewing opportunities in there, and prosperous insect breeding grounds. Not much in that stretch for camping, and I'd have to agree with jedi jeffi, that the tail-end of spring run-off is going to be the best for navigating this section, otherwise it might be a long muddy slog. From Rawhide Lake to the big rapid where Wood's Lake Road crosses the river looks really choked off to me. The river could get pushy in higher water, especially at the multiple choke off points in this section of the river. There are also a few spots that look like the only way to pass by is by bushwhacking, including parts of the 1.5 kms as you exit Rawhide Lake and travel to where the river begins to turn south just after Key Lake. Without any doubt in my mind, there are plenty of trees downed across the river along this section. From the big rapid at the Wood's Lake Road Crossing to the log-jam approximately 7km downstream, there appears to be a few rapids, but nothing to turbulent. It'd probably be good to run a path along this stretch with Garmin software or Google Earth to check the elevation profiles. From the log-jam down to Little Missinaibi Lake seems like a lowland flat delta, and readily navigable. I note a couple of outpost cabins on islands on the north side of Little Missinaibi Lake, and I can see more than one waterfall on the river's course from Little Missinaibi to Missinaibi Lake. I believe this stretch of the river is documented and that portages are likely to be more readily found in this section of the river's course. Maybe my little assessment confirms what your observations were telling you? I tried to go from Missinaibi Lake to Little Missinaibi Lake around about 1985, with 2 little kids in tow. I aborted the trip while trying to do the first portage as it was jammed with large tree falls. The Park superintendant at the time, told me it was going to be cleared out that summer. I don't think it ever happened. You might start by tracking down the current super and asking her what the status of the route is.You should be able to get a phone number from the OP booklet. Jeff, thanks for reminding me to look at the Ontario Gov’t topo site – it is the best of the various topo sites on line for Ontario. The Google Earth images are also informative. I have yet to fire off an email to Rob – I didn’t think Haslam Country stretched that far east! I’ll see what he has to say. Turtl, your mapmaker’s eye certainly caught all of the detail on the online topos. It does indeed look like a long stretch of wetlands that we’d be go through. As Jeff notes, this summer water levels will probably be lower than usual – not ideal given the terrain. There are a few spots (north of Rawhide Lake, fore example) where a nearby logging road might provide an easier portage option. Given the number of Turtl map sets that my bro and I have later copied, perhaps I should really be waiting until you and your paddling buds head east and also do this one for us! 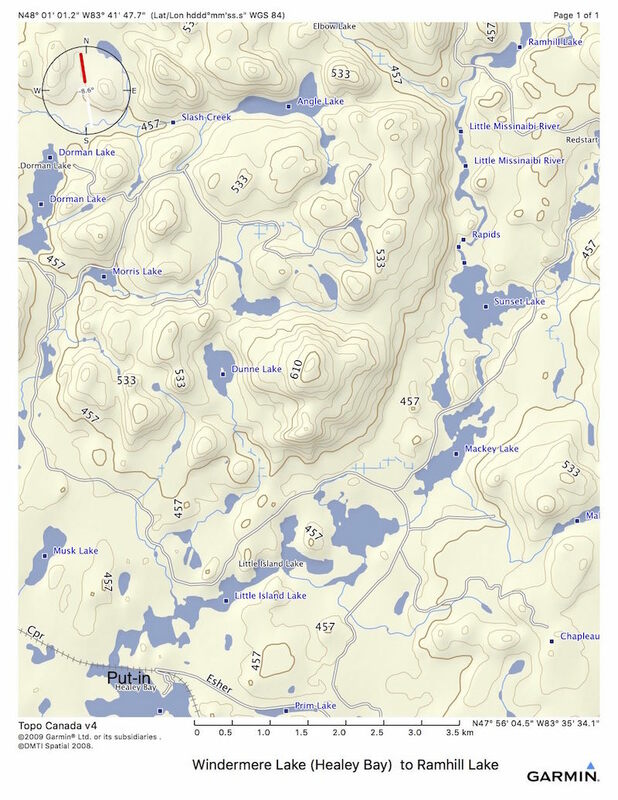 Thanks again for those Allan Water to Wabakimi Lake and the Kopka maps; they both led to recent memorable trips. You know, we also used a bit of your Albany River map set, the section from the mouth of the Misehkow River to Miminiska Lake! Mac, the stretch of the Little Missinaibi you took on is nicely described by Allan Jacobs in a trip report right here at myccr. 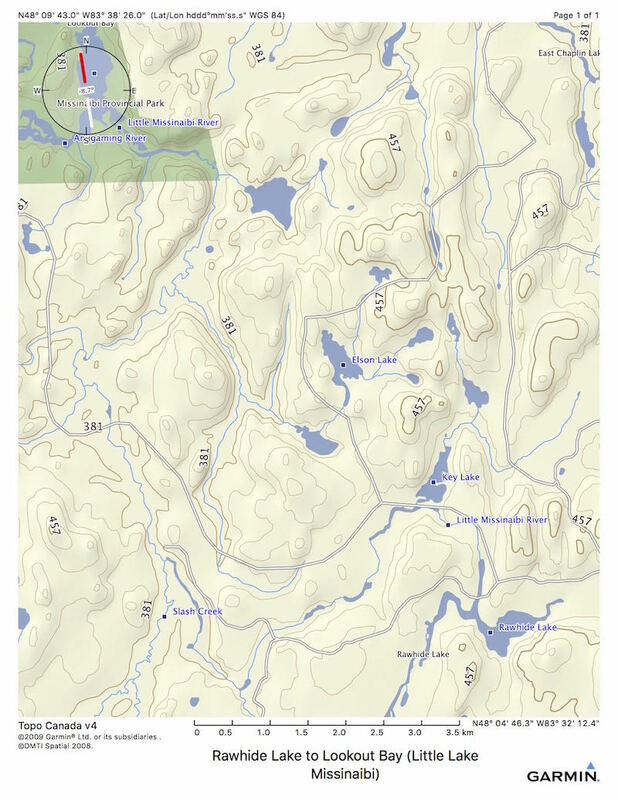 Hap Wilson also has detailed maps of this section from Lake Missinaibi right to the south end of Little Lake Missinaibi. Given the portages required in the stretch you took on with your girls – they were about ten at the time? – I can see why you turned back. It's likely that we keep this on the back burner for another year. I do like the idea of a late May/ early June start. Unfortunately canoe time this year is mid-August! In the meanwhile I am hoping that there are paddlers who have ventured up the river from Lookout Bay or down the river from Healey Bay or are familiar with some of the lakes in between. Their recent experiences should add to the file of info. I'll also update this thread every once in a while if I find out anything from outfitters and Parks Ontario people in the Chapleau area. I've edited that trip report to correct the route author to Scott and Kathy Warner. Barbara, thanks for pointing out the actual source of the report! You are clearly way more alert than your little quote at the end suggests! Owen Meany - if you want to get in touch with your roots you might check out the two following books. Both are by William E. McLeod, a Chapleau resident and the son of the man who had the Game Preserve set up in the mid-1920's. The most recent book (2010) is titled Chapleau : retrospective on life in an isolated northern community. Did you ever do that trip? Interestingly we did the Little Miss in the summer of 2016 but started in Bolkow Lake. We were able to drive right to the put-in spot, then we drove to Missanabie and left the cars there, took the train back to Shumka and walked the 1.5 km back to the put-in spot. Great trip but really challenging. Paul, funny you should ask! We made use of your trip report for the section of the Little Miss from Admiral Falls down to Whitefish Falls and Missinaibi Lake. Your notes and observations were dead on and very helpful. Thanks for that! We did the trip in June of 2017, starting at Healey Bay and ending up at Missanabie nine days later. 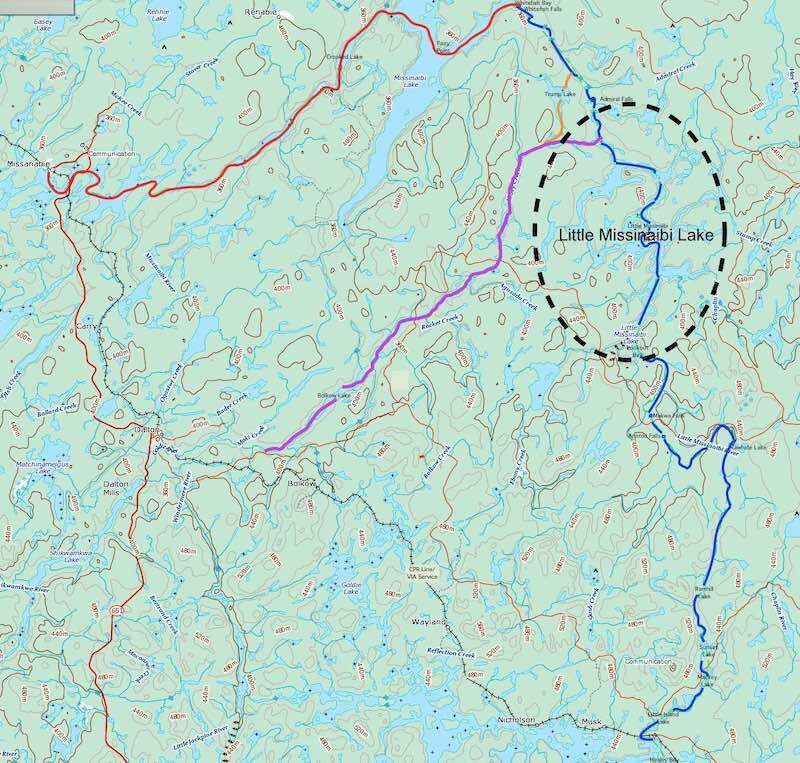 From your account of the Bolkow route (the route in purple) and our experience with the upper Little Missinaibi route (the blue coloured route), I'd say yours was probably more work. Other than being able to paddle down a section or river seldom used, we were motivated by the chance to spend time at the four pictograph sites on Little Miss and the three on Missinaibi Lake itself. The trip was definitely worth it - easy logistics, relatively short, challenging at times ... The only real downer was our Spot Connect sending off a rescue alert without us knowing it! I could feel the rumble of the helicopter from CFB Trenton hoving over our tent site at 2:00 a.m.; it reminded me of a scene from Apocalypse Now. The Day 2 report has all the details! The usual exhaustive Ramblin' Boy trip report can be accessed via the various links below! Max recently expressed an interest in redoing the trip! Wow! That SAR fiasco is not something I'd like the experience. Would certainly taint the trip. Makes me want to leave my SPOT at home. Makes me want to leave my SPOT at home. Alan, we came to the same conclusion! We ended up getting the new Garmin inReach Explorer+ device with its two-way communication and other useful features like the weather report app. We also got a waterproof transparent pouch to put the device inside. Had the Spot Connect been inside even a ziploc bag it would probably have survived the dunking. To be fair to the Spot Connect, we had used it for seven summers without any issue. The Spot Connect was discontinued three or four years ago; the company now has a Spot X which does many of the same things as the Garmin inReach for half the price!